Can you not imagine a more perfect way to end the strip? Okay, so this isn't the ending, we have more coming, but still. The sunset, the two guys hanging out. Of course, Harold isn't in it. 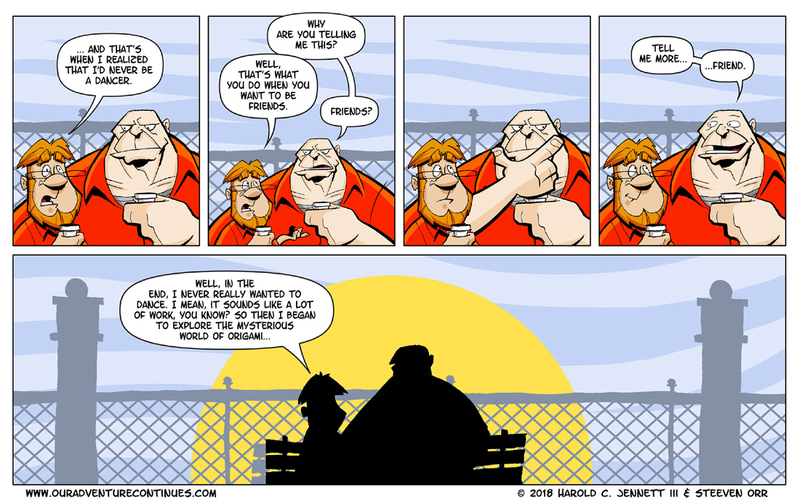 I don't think you could end this strip without both of the main characters. But still. Isn't it beautiful.